V.R.G. 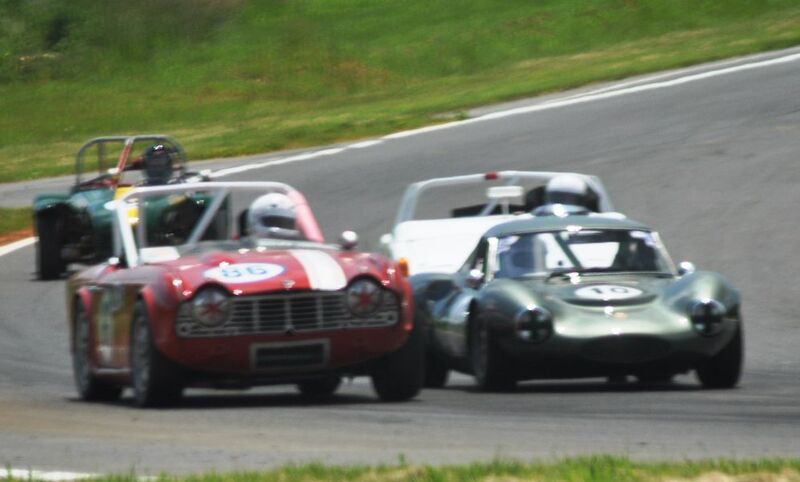 Jefferson 500 @ Summit Point — Automotive Restorations, Inc.
Vintage Racing Group hosts the Jefferson 500 2017 at Summit Point Motorsports Park and the Vintage Racing Services drivers and crew enjoy a great weekend of well-run races … nicely done all!! Above: Alex and the mighty ‘66 Corvette prepare to leave the grid from pole position. 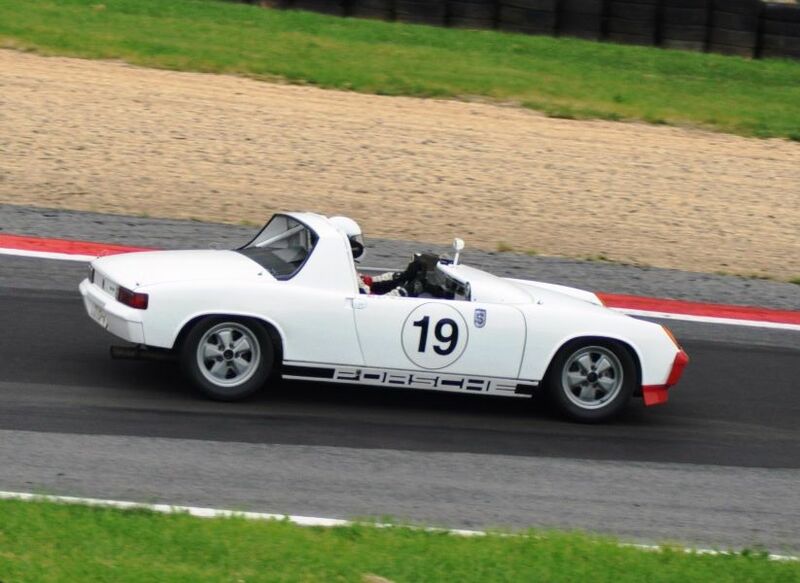 Ed in his trusty and tidy Porsche 914 had lots of work to do! Good fields are always a feature of the Jefferson. Track time? Wow, all one could want. Our guys have a go as Ed chases Alex and that thundering Vet into turn 10. Remember guys, the A.R.I. paint shop is busy as summer rolls out so pass at your own risk!! Alex & his ‘66 were in control, on point and consistent all weekend long to good effect. 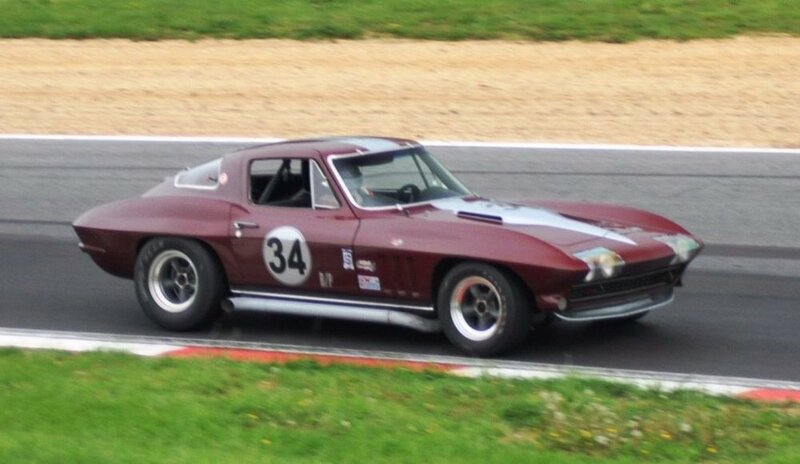 RESULTS: A fast Corvette…well driven, running without a hiccup all weekend = a class and overall win plus the big upside: more fun than anyone has a right to ! Well done Alex. And so we come to the Enduro: Vintage Racing Services Brian Rechtiene has been handling the car care, pit work, lunch and more on his own for this event. WOW!! Two cars, one tech and lots of pre-race service and laps to run. RESULT: these two well-prepared cars place first in class and finish without a hitch. Good drivin’, good fixin’ and great racin’. Good Job All!! Two tired drivers relax after their enduro class wins. Photos worth 1000 words and “raced out” applies. Brian? He’s fine and ready to head home.